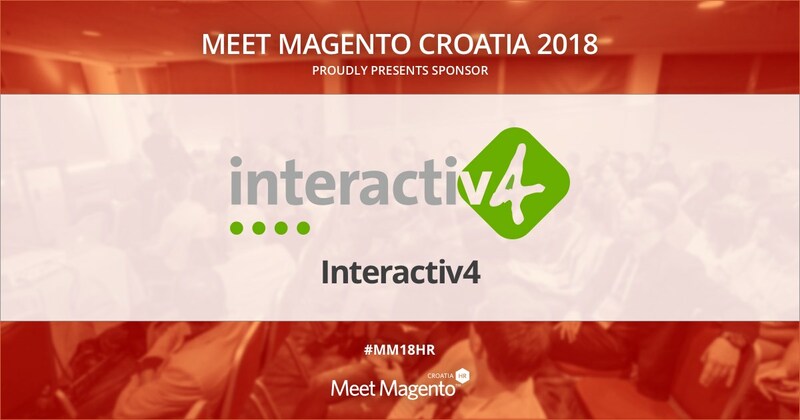 Interactiv4 is a Sponsor of Meet Magento Croatia 2018 Conference – Meet Magento Hrvatska 2018. Interactiv4 is an international eCommerce consulting and development company. Their services include analysis of your requirements to understand your business objectives and create a phased plan to achieve them. By being in the sector for more than 10 years you can rest assured that the service given will be the best solution you can get. They will develop and maintain the project according to the plan presented so the only thing left for you to worry about is your company and its growth. The team of more than 50 professionals can agree on one thing, and that is that your success is their success and that they will set out to accomplish it with great enthusiasm. A massive thank you to our friends at Interactiv4 for sponsoring and participating in Meet Magento Croatia conference!